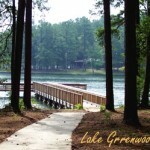 The Lake Greenwood State Park & Campground is a beautiful outdoor recreation area designed to preserve the pristine natural area. 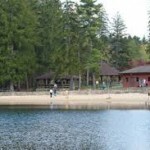 The Park hosts several amenities and is available for public camping with 125 paved sites, 33 full service sites, and multiple primitive camp sites. The Park houses campsites right along the Lake Greenwood water edge to offer a unique and uninhabited view for campers. All sites are paved and provide electric and water hook-ups. A dump station is available on-site for sites without sewer hook-up. Tent sites also available. To make a reservation, please go to www.SouthCarolinaParks.com or call 864-543-3535 or E-mail:lgreenwoodsp@scprt.com or you may use the direct local page link below. 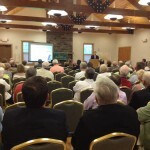 Drummond Center– The site houses the Drummond Center Conference area which offers a lakeside view for guests and attendees. 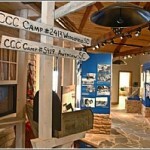 CCC Workers Museum– A small museum located inside the Drummond Center offers a glimpse into the past showing the CCC Workers who started the Park during World War II. Boat Ramp & Fishing Pier– The Park offers a free boat ramp and fishing pier to occupants. Pavilions– The Park houses several outdoor covered pavilions, some with fireplaces for your use. A wonderful place to hold family picnics or group gatherings. Geocaching and Walking Trails- The Park is home to registered geocache sites and has several walking trails throughout. The Park also hosts several events through our the year, including a Easter Egg Hunt, A geocaching Hunt and a Halloween Night. Be sure to visit their webpage to access all that is happening.